What is Switzerland Famous for? Here are 14 Things! 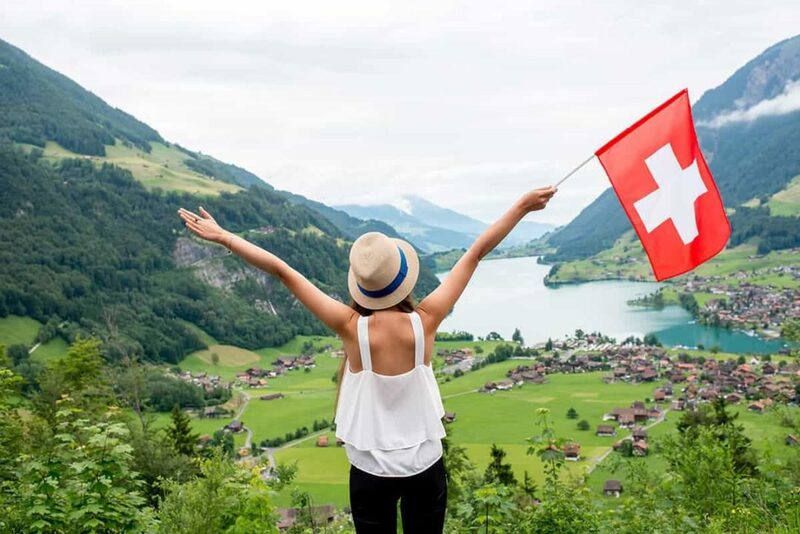 Switzerland is the world’s only country where there are four national languages. These include French, Rumantsch, German and Italian. This isn’t the only thing that makes this beautiful country unique. Can I challenge you to name famous things from Switzerland, before you look at our list? So What is Switzerland Famous For? 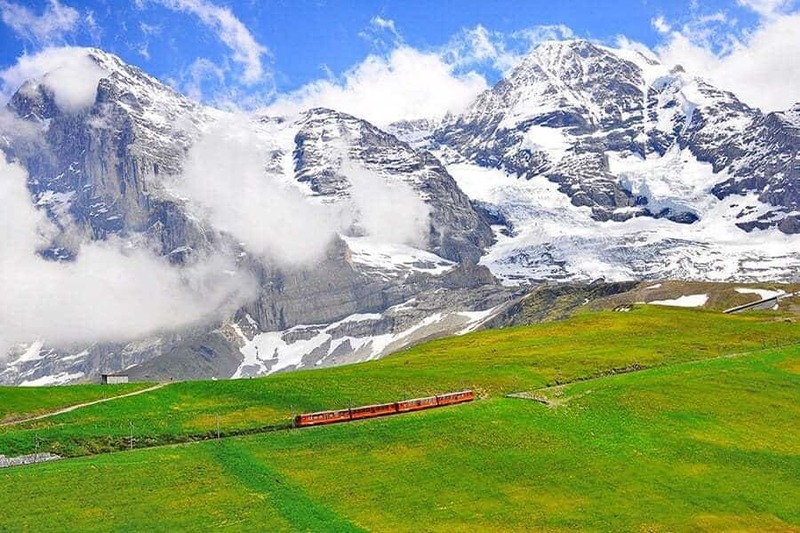 Find below a list of 14 different things that Switzerland is famous for. Is it any surprise that Switzerland’s famous mountain range is the Swiss Alps? One of the best things about Switzerland is all the beautiful nature. Many tourists flock to Switzerland each year just to enjoy the Alps. It’s hard to miss them as they make up about 65% of Switzerland. They are one of the world’s most beautiful mountain ranges. The Alps are great for skiing and winter sports. 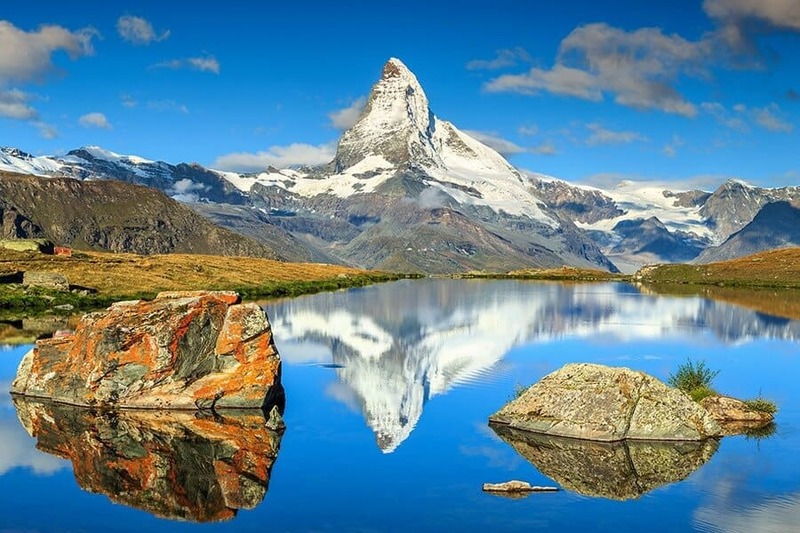 The Alps that are famous in Switzerland include the Eiger, the Matterhorn, and the Jungfrau. 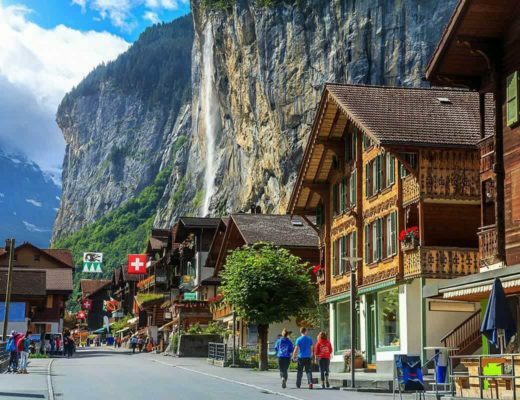 See a list of some of the most beautiful places in Switzerland. Wondering why Switzerland is famous? Because not only do they take a neutral stance when it comes to times of conflict, but also because in times of crisis, the Red Cross has been known to help individuals when others couldn’t. It was first established back in 1863 due in part to a book called A Memoire of Solferino that was written by the Swiss entrepreneur, Henry Dunant. Today the Red Cross has become well known not only in Switzerland but throughout the world. What is Switzerland known for? This one is pretty obvious! Watches! It might just be one of the most famous items in Switzerland. 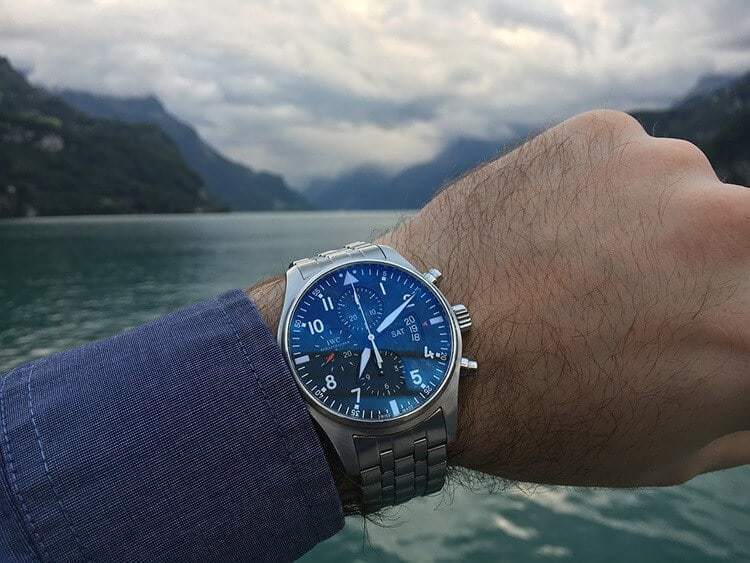 You’d be hardpressed to find a watch that is as well made as they are in Switzerland. The watchmaking industry in this country produces watches that are not only technologically advanced but aesthetically appealing as well. They have a wide range and are very accurate at telling time. Some of the more popular watch brands from Switzerland include Rolex, Omega, Tag Heuer, and Rado. The art movement, Dadaism, started in the 20th century in Zurich. It was a way for artists and poets to express their feelings and displeasure concerning World War I. While it began in Zurich’s Cabaret Voltaire, it soon became an international movement that was embraced by many who felt the same way. It was an interesting movement as it rejected rational thinking and logic. 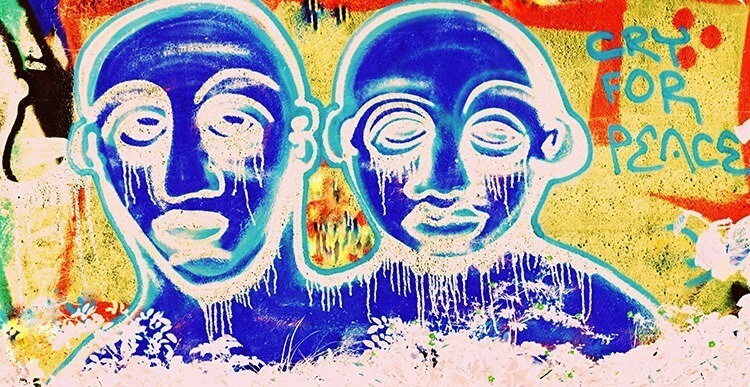 It brought about a whole new way to express one’s thoughts through arts and literature. What is famous in Switzerland? CHOCOLATE! Almost everyone loves Swiss chocolate, and there’s a reason for it! The delicious chocolate might just be one of the most famous Swiss products. Switzerland has chocolate-making down to a science and many other chocolate types just don’t compare. Swiss chocolate is rich and creamy and just seems to melt in your mouth. 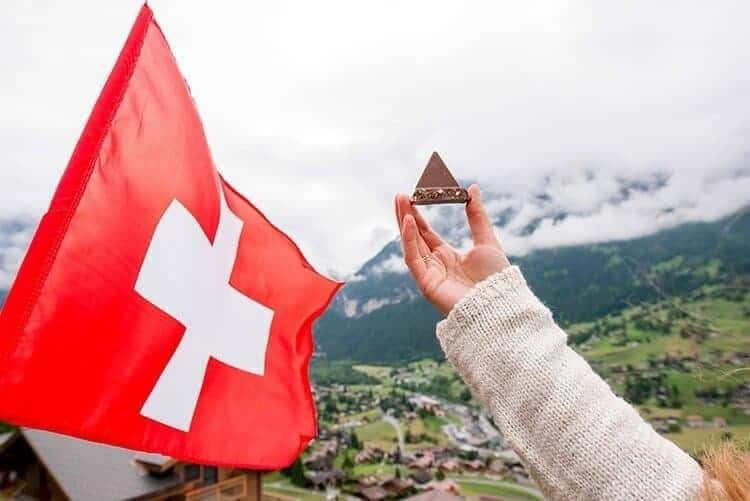 Once you’ve had Swiss chocolate, you will see why Switzerland has become known for its chocolates throughout the world. If you are looking to take part in a music festival, head over to Switzerland. Each year this country hosts everything from rock to classical music events. In fact, every season there is at least one music festival going on. 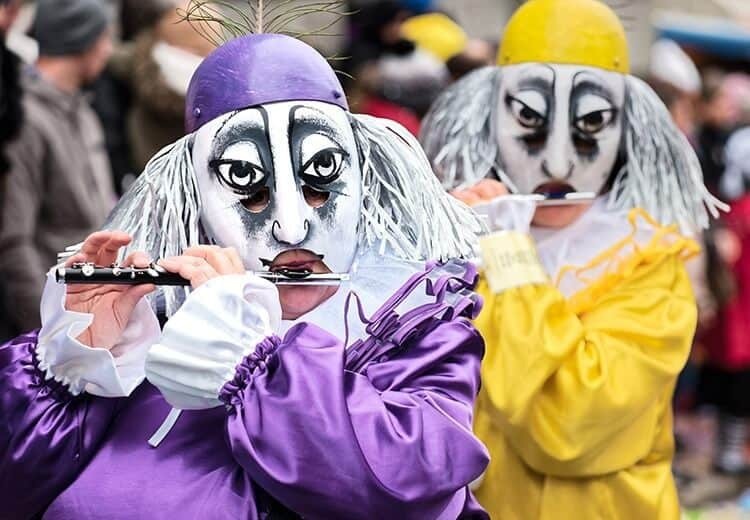 These include the Annual Classical Music Festival, The Rock Oz’Arenes Festival, and the SnowpenAir Festival. One of the most obvious things Switzerland is famous for is very most likely its connection with cheese. Those who don’t live in Switzerland often assume that Swiss cheese is just a cheese with holes in it. While Emmental cheese in Switzerland does resemble this, Swiss cheese is so much more. 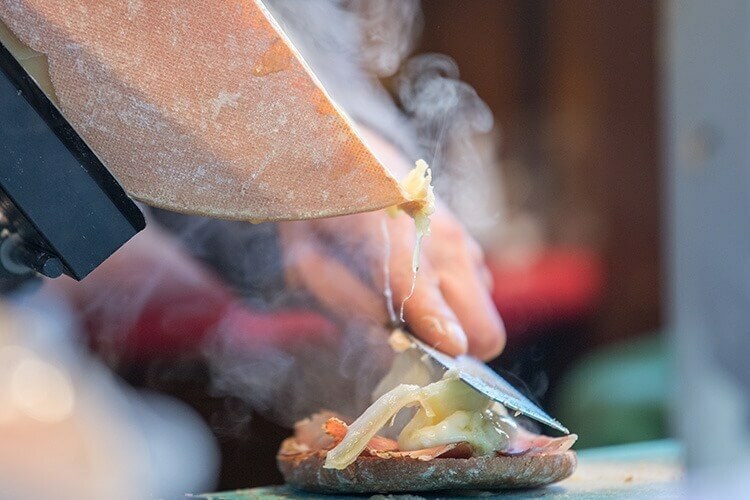 The country loves its cheeses and you can find 450 different varieties of cheeses. It’s a cheese lover's paradise, that’s for sure! So when you want to buy Swiss cheese, don’t just turn to cheese with holes in it. There are so many different options to choose from that you might have never knew existed! So what food is Switzerland famous for? Well, think fondue and raclette. We loved trying out a fondue whilst exploring the famous cheese town of Gruyeres. What's Switzerland famous for from a business point of view? If you are concerned about your privacy (and who shouldn’t be), Switzerland is a great country to do your banking with. 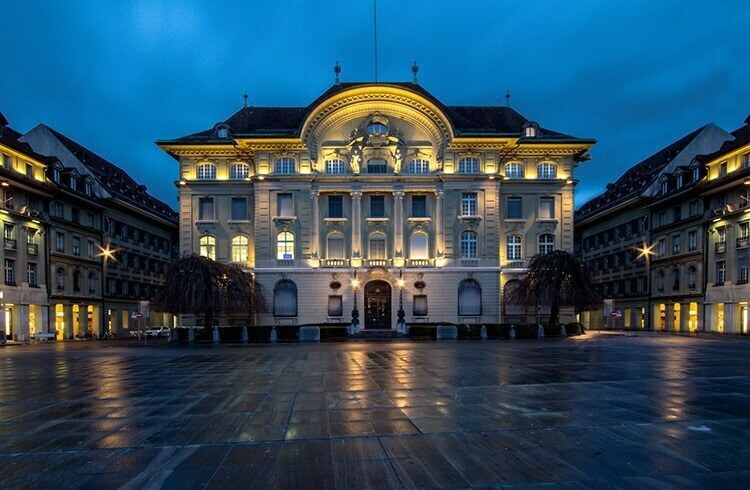 It’s not uncommon for foreign individuals to put a lot of their money into Swiss banks simply because the economy is so stable and Switzerland is considered to be one of the world’s best countries to do your banking with. 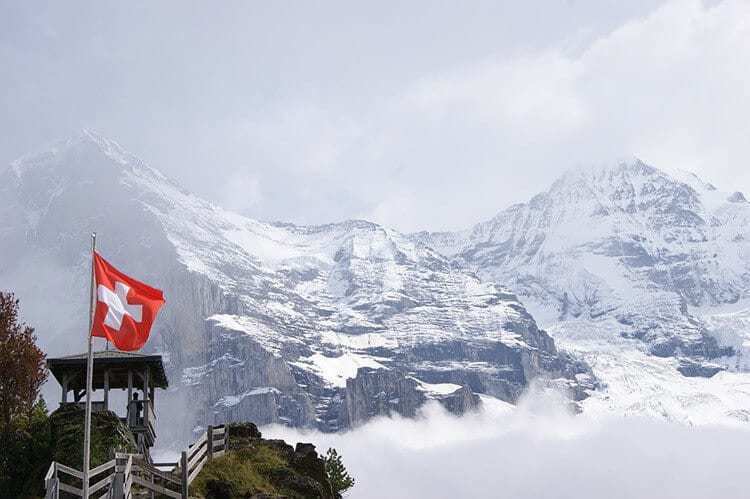 Have you ever heard the phrase, “I’m Switzerland” when getting into a debate with someone? What that means is that Switzerland is known for their no-interference policy. Basically, they commonly take a neutral stance when other countries are having an issue with one another. In fact, they haven’t been in any war since 1505. Because of their neutral stance for centuries, they have been able to reap the benefits of a stable economy consistently. Find out why Switzerland is a neutral country here. What's Switzerland known for when it comes to sights and destinations? In Switzerland, the lakes are absolutely incredible. There are a number of different large and small lakes scattered throughout the country. They are quite picturesque with the mountains scattered behind them as a backdrop. In particular, Lake Zurich and Lake Geneva have become beloved by both residents and tourists alike. It’s not surprising that Switzerland has become famous for its lakes as they have some of the most gorgeous lake views in the entire world. One of the things that Switzerland has become famous for is their trains, with 46 different railway companies. It has a very well established central train system which allows for tourists and locals to easily get from one destination to another. 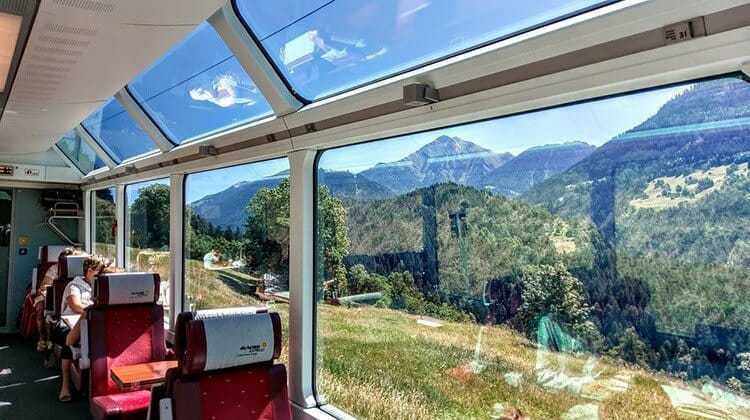 Traveling by train is seamless and quick. There is also incredible scenery to see no matter where you are traveling to in the country. 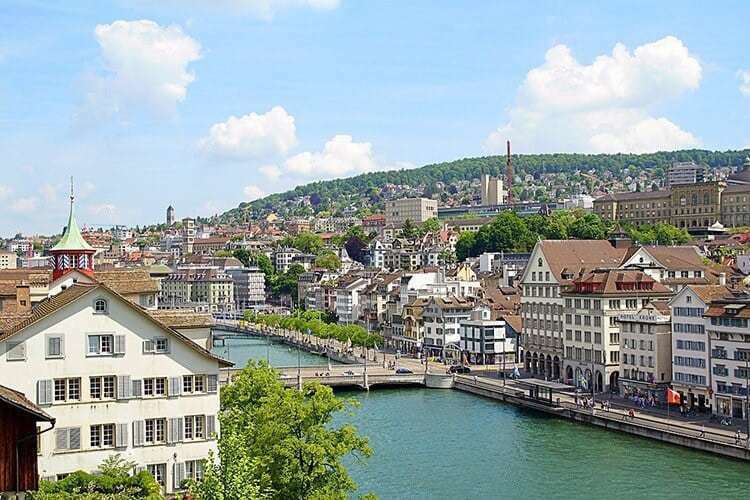 Zurich is one of Switzerland’s famous places and in actual fact is famous around the world due to the fact that surveys have shown that this city has the highest quality of life as compared to anywhere else in the world. 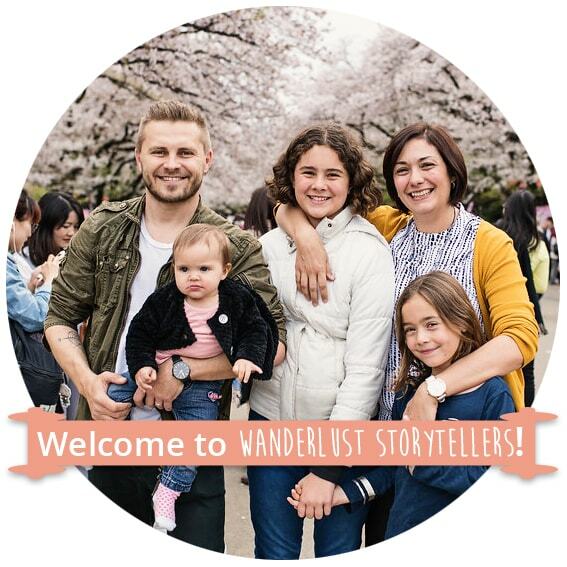 Visitors can enjoy incredible accommodations, outstanding cuisine, and unique shopping experiences. The Romans founded Zurich and this city is located in the north central part of Switzerland. It’s not uncommon to visit this area and see a celebrity or two strolling around as well. 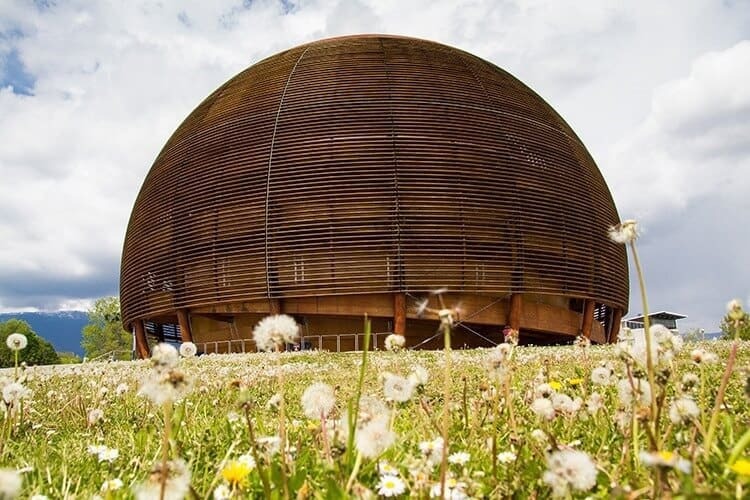 Located in Geneva, this is the European Organization for Physics Research. It houses the largest Physical Laboratory in the world. One of the interesting things about it is that it’s located 100 meters underground. Many discoveries have been made here and the most powerful accelerator in the world was created here back in 2008. CeRN allows scientists to study matter and try to understand how the Universe began. We all have that image in our heads of what Swiss houses in small towns and villages look like. That small house tucked away on a high alpine meadow. And guess what!? They look exactly like that picture you have in your head. 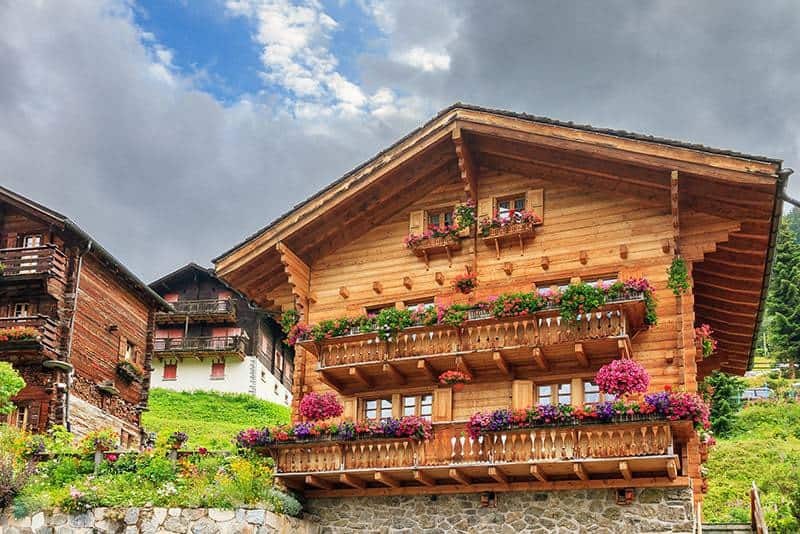 Beautiful wooden chalets with pointy tops and flowers in their windowsills. One of our favorite regions to see these beautiful villages with houses that date back to the 13th century is the Graubunden area. 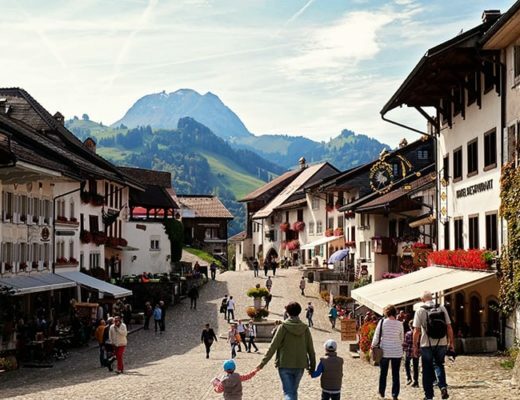 But honestly – simply leave the motorway behind and drive through some of those winding side streets and before long you will come across these beautiful traditional western Swiss chalets as well. One of the good things about Switzerland is definately that the country will live up to your expectations and will match (if not out-match) all those pictures in your head. In conclusion, these are just some of the many famous Swiss things. It’s a great country to visit with a lot of things to do, fabulous food and friendly locals. Everyone should put Switzerland on their travel bucket list! We hope you enjoyed our post on what Switzerland is known for. Be sure to follow us on my social media, so you never miss a post! Can you add any things famous things in Switzerland to our list? 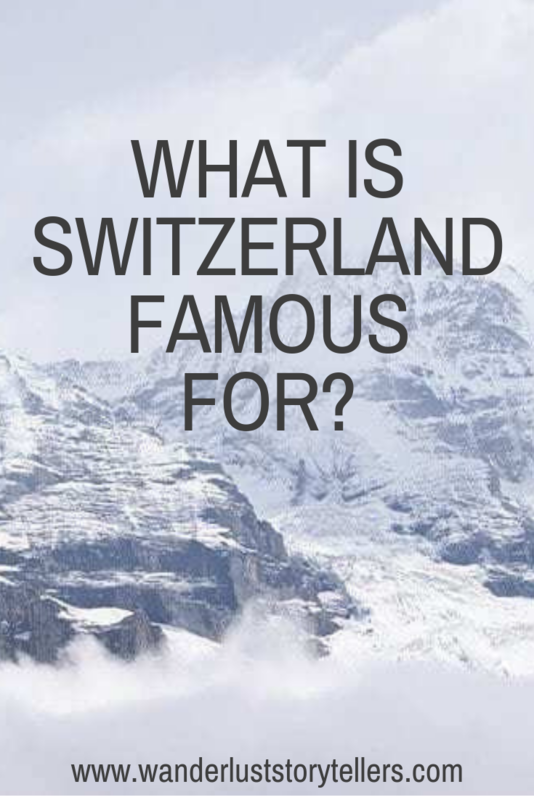 Which of these things on our list of ‘what is Switzerland famous for' surprised you the most? 13 of the Most Beautiful places in Switzerland Revealed! I think that this site is an excellent help for people that are doing projects on a country that they dont really know about.